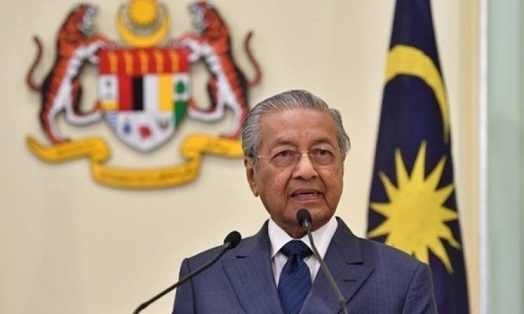 PUTRAJAYA (April 9): Malaysia is exploring proposals aimed at reducing the cost of the Kuala Lumpur-Singapore High Speed Rail (HSR) project and will be discussing this further with Singapore before the end of the suspension period on May 31, 2020, says Prime Minister Tun Dr Mahathir Mohamad. The Prime Minister said the government’s priority is to reduce the country’s debt and ensure an economically viable project that is able to generate an acceptable rate of return. “There are significant economic benefits to enhance public transport connectivity between both countries. “However, (the) projects have to be feasible and sustainable,” he told a joint press conference with his Singapore counterpart Lee Hsien Loong after the 9th Malaysia-Singapore Leaders’ Retreat here today. “There are significant economic benefits to enhance public transport connectivity between both countries." “We look forward to receiving the proposals from Malaysia soon, in order to work together with them and find a way forward that will work for both countries,” he said. Touching on the Johor Bahru-Singapore Rapid Transit System Link (JB-Sg RTS) project, Mahathir said Malaysia is still looking at affordable and sustainable alternatives, while Singapore is willing to consider the suspension of the project. On this issue, Lee, again, said Singapore understood Malaysia’s position and it would work out the supplemental agreements quickly. On the traffic congestion at the causeway linking Johor Bahru to Singapore, Lee quoted Mahathir as saying the RTS Link would not solve the problem of motorcyclists who wish to enter Singapore. He said Mahathir also pointed out a need to extend the capacity of the Customs, Immigration, and Quarantine Complex (CIQs) on both sides, due to the growing number of people crossing the causeway. “With that, Singapore has planned to extend our CIQ further,” he added. Yesterday, Transport Minister Anthony Loke Siew Fook said both Malaysia and Singapore were working towards a new supplemental agreement on the suspended JB-Sg RTS Link project. Loke said the project, which was suspended for six months, would involve attorney-generals of both countries in drafting the agreement. Meanwhile, Lee emphasised that the ties between the business communities of both countries remained strong, with the Singapore Manufacturing Federation renewing its memorandum of understanding on collaboration with the Federation of Malaysian Manufacturers. “And the joint-ministerial committee for Iskandar Malaysia, chaired by (Malaysian Economic Affairs Minister) Azmin Ali and (Singapore) Minister (for National Development and Second Finance Minister) Lawrence Wong, are working to further cooperate on multiple fronts,” he said. Lee added that trade relationship between both countries continued to grow, with Singapore and Malaysia remaining as each other’s second largest trading partner.